This article is about the military term. For other uses, see Missing in action (disambiguation). Missing in action (MIA) is a casualty classification assigned to combatants, military chaplains, combat medics, and prisoners of war who are reported missing during wartime or ceasefire. They may have been killed, wounded, captured, or deserted. If deceased, neither their remains nor grave has been positively identified. Becoming MIA has been an occupational risk for as long as there has been warfare. Until around 1912, service personnel in most countries were not routinely issued with ID tags. As a result, if someone was killed in action and his body was not recovered until much later, there was little or no chance of identifying the remains. Starting around the time of the First World War, nations began to issue their service personnel with purpose-made ID tags. These were usually made of some form of lightweight metal such as aluminium. However, in the case of the British Army the material chosen was compressed fiber, which was not very durable. Although wearing ID tags proved to be highly beneficial, the problem remained that bodies could be completely destroyed, burned or buried by the type of high explosive munitions routinely used in modern warfare. Additionally, the combat environment itself could increase the likelihood of missing combatants such as jungle warfare, or submarine warfare, and air-crashes in remote mountainous terrain, or at sea. Alternatively, there could be administrative errors e.g. the actual location of a temporary battlefield grave could be misidentified or forgotten due to the "fog of war" Finally, since military forces had no strong incentive to keep detailed records of enemy dead, bodies were frequently buried (sometimes with their ID tags) in temporary graves, the locations of which were often lost or obliterated e.g. the forgotten mass grave at Fromelles. As a result, the remains of missing combatants might not be found for many years, if ever. When missing combatants are recovered and cannot be identified after a thorough forensic examination (including such methods as DNA testing and comparison of dental records) the remains are interred with a tombstone which indicates their unknown status. The development of genetic fingerprinting in the late 20th century means that if cell samples from a cheek swab are collected from service personnel prior to deployment to a combat zone, identity can be established using even a small fragment of human remains. Although it is possible to take genetic samples from a close relative of the missing person, it is preferable to collect such samples directly from the subjects themselves. It is a fact of warfare that some combatants are likely to go missing in action and never be found. However, by wearing ID tags and using modern technology the numbers involved can be considerably reduced. In addition to the obvious military advantages, conclusively identifying the remains of missing service personnel is highly beneficial to the surviving relatives. Having positive identification makes it somewhat easier to come to terms with their loss and move on with their lives. Otherwise, some relatives may suspect that the missing person is still alive somewhere and may return someday. However, many of these identifying procedures are not typically used for combatants who are members of militias, mercenary armies, insurrections, and other irregular forces. It is possible that some of the combatants who took part of the Battle of Thermopylae in 480 BC went missing in action. Certainly, the numerous wars which followed over successive centuries created many MIAs. The list is long and includes most battles which have ever been fought by any nation. The usual problems of identification caused by rapid decomposition were exacerbated by the fact that it was common practice to loot the remains of the dead for any valuables e.g. personal items and clothing. This made the already difficult task of identification even harder. Thereafter the dead were routinely buried in mass graves and scant official records were retained. Notable examples include such medieval battles as Towton, the Hundred Years' War, the later English Civil Wars and Napoleonic Wars together with any battle taking place until around the middle of the 19th century. Starting around the time of the Crimean War, American Civil War and Franco-Prussian War, it became more common to make formal efforts to identify individual soldiers. However, since there was no formal system of ID tags at the time, this could be difficult during the process of battlefield clearance. Even so, there had been a notable shift in perceptions e.g. where the remains of a soldier in Confederate uniform were recovered from, say, the Gettysburg battlefield, he would be interred in a single grave with a headstone which stated that he was an unknown Confederate soldier. This change in attitudes coincided with the Geneva Conventions, the first of which was signed in 1864. Although the First Geneva Convention did not specifically address the issue of MIAs, the reasoning behind it (which specified the humane treatment of wounded enemy soldiers) was influential. The phenomenon of MIAs became particularly notable during World War I, where the mechanized nature of modern warfare meant that a single battle could cause astounding numbers of casualties. For example, in 1916 over 300,000 Allied and German combatants were killed in the Battle of the Somme. A total of 19,240 British and Commonwealth combatants were killed in action or died of wounds on the first day of that battle alone. It is therefore not surprising that the Thiepval Memorial to the Missing of the Somme in France bears the names of 72,090 British and Commonwealth combatants, all of whom went missing in action during the Battle of the Somme, were never found and who have no known grave. Similarly, the Menin Gate memorial in Belgium commemorates 54,896 missing Allied combatants who are known to have been killed in the Ypres Salient. The Douaumont ossuary, meanwhile, contains 130,000 unidentifiable sets of French and German remains from the Battle of Verdun. Even in the 21st century, the remains of missing combatants are recovered from the former battlefields of the Western Front every year. These discoveries happen regularly, often during the course of agricultural work or construction projects. Typically, the remains of one or several men are found at a time. However, occasionally the numbers recovered are much larger e.g. the mass grave at Fromelles (excavated in 2009) which contained the skeletal remains of no less than 250 Allied soldiers. Another example is the excavation which took place at Carspach (Alsace region of France) in early 2012, which uncovered the remains of 21 German soldiers, lost in an underground shelter since 1918, after being buried by a large-calibre British artillery shell. Regardless, efforts are made to identify any remains found via a thorough forensic examination. If this is achieved, attempts are made to trace any living relatives. However, it is frequently impossible to identify the remains, other than to establish some basic details of the unit they served with. 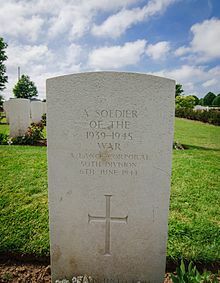 In the case of British and Commonwealth MIAs, the headstone is inscribed with the maximum amount of information that is known about the person. Typically, such information is deduced from metallic objects such as brass buttons and shoulder flashes bearing regimental/unit insignia found on the body. As a result, headstones are inscribed with such information as "A Soldier of The Cameronians" or "An Australian Corporal" etc. Where nothing is known other than the soldier's national allegiance, the headstone is inscribed "A Soldier of The Great War". The term "Sailor" or "Airman" can be substituted, as appropriate. Graves of unknown French soldiers killed during World War One. Each concrete cross has a metal plaque bearing the word "Inconnu" i.e. "Unknown"
There are many missing combatants and other persons in service from World War II. In the United States Armed Forces, 78,750 personnel missing in action had been reported by the end of the war, representing over 19 percent of the total of 405,399 killed during the conflict. As with MIAs from the First World War, it is a routine occurrence for the remains of missing personnel killed during the Second World War to be periodically discovered. Usually they are found purely by chance (e.g. during construction or demolition work) though on some occasions they are recovered following deliberate, targeted searches. As with the First World War, in western Europe MIAs are generally found as individuals, or in twos or threes. However, sometimes the numbers in a group are considerably larger e.g. the mass grave at Villeneuve-Loubet, which contained the remains of 14 German soldiers killed in August 1944. Others are located at remote aircraft crash sites in various countries. But in eastern Europe and Russia, World War II casualties include approximately two million missing Germans, and many mass graves remain to be found. Almost a half million German MIAs have been buried in new graves since the end of the Cold War. Most of them will stay unknown. The German War Graves Commission is spearheading the effort. Similarly, there are approximately 4 million missing Russian service personnel scattered across the former Eastern Front, from Leningrad down to Stalingrad, though around 300 volunteer groups make periodic searches of old battlefields to recover human remains for identification and reburial. In 2008, investigators began to conduct searches on Tarawa atoll in the Pacific Ocean, trying to locate the remains of 139 American Marines, missing since the Battle of Tarawa in 1943. Between 2013 and 2016 the remains of 37 US Marines were recovered from Tarawa. Among those recovered was Medal of Honor recipient Alexander Bonnyman. As of April 8, 2019, according to the U.S. Department of Defense Prisoner of War/Missing Accounting Office, there were still 72,729 U.S. servicemen and Civilians still unaccounted for from World War II. US Department of Defense Loss concentrations maps estimation of US MIAs/POWs as being lost in North Korea in 1954 and in 2017. The total number of Korean War MIAS/remains not recovered was 8,154. In 1954 during Operation Glory, the remains of 4,023 UN personnel were received from North Korea, of which 1,868 were Americans; of the recovered US remains, 848 could not be identified. Between 1982 and 2016, 781 unknown remains were recovered from North Korea, South Korea, China, Japan, and Punchbowl Cemetery in Hawaii, of which a total of 459 have been identified as of June 2018[update] 950 sets of remains were uncovered in South Korea; of 20 sets of remains 11 were identified. The 1991–1993 United States Senate Select Committee on POW/MIA Affairs investigated some outstanding issues and reports related to the fate of U.S. service personnel still missing from the Korean War. In 1996, the Defense Department stated that there was no clear evidence any of the U.S. prisoners were still alive. As of 2005[update], at least 500 South Korean prisoners of war were believed to be still detained by the North Korean regime. That same year the U.S. suspended talks with North Korea over the recovery of MIAs; the George W. Bush administration had broken off relations between the US and North Korea-claiming it couldn't guarantee Americans safety. In 2007-New Mexico Governor Bill Richardson traveled to Pyongong and returned with six sets of remains. In 2010, it was reported that the Obama administration was reversing the Bush administration's suspended talks in regard to North Korea MIAs. In 2011 the Veterans of Foreign Wars (VFW) adopted Resolution # 423 calling for renewed discussions with North Korea to recover Americans missing in action. On July 27, 2011 Congressman Charles Rangel introduced a Congressional Resolution calling on North Korea to repatriate POW/MIAS and abductees from North Korea. In January 2012 it was announced that members of JPAC would go to North Korea in the spring to search for an estimated 5,000 MIAs in the Unsan & the Chosin Reservoir areas. In February 2012 talks were going ahead between the US and North Korea to resume discussions to recover US MIAs after seven years. On March 8, 2012 the US announced it would search for MIAs in North Korea, however on March 21, 2012, US President Obama's administration suspended talks with North Korea over the recovery of US servicemen killed and missing in North Korea. In 2013 Korea Cold War Families Inc started an online petition to Obama to resolve Cold/Korean War mysteries. As of December 2015 the DPAA does not currently conduct operations in North Korea. On June 24, 2016 despite Obama's refusal to reopen reparation talks in regard to the US MIAs, Congressmen Rangel, John Conyers, Sam Johnson introduced House Resolution No. 799 calling on the US Government to resume talks in regard to the US MIAs. On September 27, 2016 House Resolution No. 799 was referred to the House Foreign Affairs Subcommittee on Asia and the Pacific. It was not enacted. As a result of the June 2018 meeting between US President Trump and North Korean leader Kim, the US has received 55 boxes of MIAS remains on July 27, 2018 – the 65th anniversary of the Korean War Truce. As of April 8, 2019 according to the US Department of Defense, the total of working number of MIA US servicemembers was 7,662. Remains of nine sets of remains of Korean War MIA serviceman have also been discovered at Arrowhead Hill aka Hill 281 Battle of White Horse, which is located in the Korean Demilitarized Zone, during minesweeping operations between October and November 2018. Arrowhead Hill had previously been selected for both Koreas to jointly conduct a pilot remains recovery project. Since 1996, the remains of Korean People's Army combatants recovered from battlefield exhumations across South Korea have been buried in the Cemetery for North Korean and Chinese Soldiers, the majority of the over 770 burials are unknowns. The fate of American POW/MIAs from the Vietnam War spurred interest in POW/MIAs from all wars. Here a roadside plaque in the U.S. state of Georgia lists such figures. Following the Paris Peace Accords of 1973, 591 U.S. prisoners of war were returned during Operation Homecoming. The U.S. listed about 1,350 Americans as prisoners of war or missing in action and roughly 1,200 Americans reported killed in action and body not recovered. By the early 1990s, this had been reduced to a total of 2,255 unaccounted for from the war, which constituted less than 4 percent of the total 58,152 U.S. service members killed. This was by far the smallest proportion in the nation's history to that point. About 80 percent of those missing were airmen who were shot down over North Vietnam or Laos, usually over remote mountains, tropical rain forest, or water; the rest typically disappeared in confused fighting in dense jungles. Investigations of these incidents have involved determining whether the men involved survived their shootdown and, if not, efforts to recover their remains. POW/MIA activists played a role in pushing the U.S. government to improve its efforts in resolving the fates of the missing. Progress in doing so was slow until the mid-1980s, when relations between the U.S. and Vietnam began to improve and more cooperative efforts were undertaken. Normalization of U.S. relations with Vietnam in the mid-1990s was a culmination of this process. Considerable speculation and investigation has gone to a theory that a significant number of these men were captured as prisoners of war by Communist forces in the two countries and kept as live prisoners after the war's conclusion for the United States in 1973. A vocal group of POW/MIA activists maintains that there has been a concerted conspiracy by the Vietnamese government and every American government since then to hide the existence of these prisoners. The U.S. government has steadfastly denied that prisoners were left behind or that any effort has been made to cover up their existence. Popular culture has reflected the "live prisoners" theory, most notably in the 1985 film Rambo: First Blood Part II. Several congressional investigations have looked into the issue, culminating with the largest and most thorough, the United States Senate Select Committee on POW/MIA Affairs of 1991–1993 led by Senators John Kerry, Bob Smith, and John McCain. Its unanimous conclusion found "no compelling evidence that proves that any American remains alive in captivity in Southeast Asia." This missing in action issue has been a highly emotional one to those involved, and is often considered the last depressing, divisive aftereffect of the Vietnam War. To skeptics, "live prisoners" is a conspiracy theory unsupported by motivation or evidence, and the foundation for a cottage industry of charlatans who have preyed upon the hopes of the families of the missing. As two skeptics wrote in 1995, "The conspiracy myth surrounding the Americans who remained missing after Operation Homecoming in 1973 had evolved to baroque intricacy. By 1992, there were thousands of zealots—who believed with cultlike fervor that hundreds of American POWs had been deliberately and callously abandoned in Indochina after the war, that there was a vast conspiracy within the armed forces and the executive branch—spanning five administrations—to cover up all evidence of this betrayal, and that the governments of Communist Vietnam and Laos continued to hold an unspecified number of living American POWs, despite their adamant denials of this charge." Believers reject such notions; as one wrote in 1994, "It is not conspiracy theory, not paranoid myth, not Rambo fantasy. It is only hard evidence of a national disgrace: American prisoners were left behind at the end of the Vietnam War. They were abandoned because six presidents and official Washington could not admit their guilty secret. They were forgotten because the press and most Americans turned away from all things that reminded them of Vietnam." There are also a large number of North Vietnamese and Viet Cong MIAs from the Vietnam war whose remains have yet to be recovered. In 1974, General Võ Nguyên Giáp stated that they had 330,000 missing in action. As of 1999, estimates of those missing were usually around 300,000. This figure does not include those missing from former South Vietnamese armed forces, who are given little consideration under the Vietnamese regime. The Vietnamese government did not have any organized program to search for its own missing, in comparison to what it had established to search for American missing. The discrepancy angered some Vietnamese; as one said, "It's crazy for the Americans to keep asking us to find their men. We lost several times more than the Americans did. In any war there are many people who disappear. They just disappear." In the 2000s, thousands of Vietnamese were hiring psychics in an effort to find the remains of missing family members. The Vietnamese Army organizes what it considers to be the best of the psychics, as part of its parapsychology force trying to find remains. Additionally, remains dating from the earlier French colonial era are sometimes discovered: in January 2009, the remains of at least 50 anti-French resistance fighters dating from circa 1946 to 1947 were discovered in graves located under a former market in central[Hanoi. As of April 8, 2019 according to the U.S. Department of Defense Prisoner of War/Missing Personnel Office, US Military and Civilian personnel still unaccounted for number 1,589. According to the Defense Prisoner of War/Missing Personnel Office, as of April 8, 2019 there were still 126 U.S. servicemen unaccounted for from the Cold War. April 8, 1950, a U.S. Navy PB4Y-2 Privateer, (Bureau Number : 59645), flying out of Wiesbaden, Germany, was shot down by Soviet fighters over the Baltic Sea. The entire crew of 10 remains unaccounted for. November 6, 1951, a U.S. Navy P2V Neptune, (Bureau Number : 124283), was shot down over the Sea of Japan. The entire crew of 10 remains unaccounted for. June 13, 1952, a U.S. Air Force RB-29 Superfortress, (Serial Number : 44-61810), stationed at Yokota Air Base, Japan, was shot down over the Sea of Japan. The entire crew of 12 remains unaccounted for. October 7, 1952, a U.S. Air Force RB-29 Superfortress, (Serial Number : 44-61815), stationed at Yokota Air Base, Japan was shot down north of Hokkaido Island, Japan. Of the eight crewmen on board, seven remain unaccounted for. November 28, 1952, a CIA Civil Air Transport C-47 Skytrain aircraft flying over China was shot down, 2 captured and 2 killed; one of the two killed American civilian remains unaccounted for. January 18, 1953, a U.S. Navy P2V Neptune, (Bureau Number : 127744), with 13 crewmen aboard was shot down by the Chinese, in the Formosa Straits. Six crew members remain unaccounted for. July 29, 1953, a U.S. Air Force RB-50 Superfortress, (Serial Number : 47-145), stationed at Yokota Air Base, Japan, was shot down over the Sea of Japan. Of the 17 crew members on board, 14 remain unaccounted for. May 6, 1954 a CIA Air transport C-119 Flying Boxcar aircraft flown by James B. McGovern, Jr. flying over Northern Vietnam was shot down. One of the two Americans onboard remains unaccounted for. April 17, 1955, a U.S. Air Force RB-47 Stratojet, (Serial Number : 51-2054), based at Eielson Air Base, Alaska, was shot down near the southern point of Kamchatka Peninsula, Russia. The entire crew of three remains unaccounted for. August 22, 1956, a U.S. Navy P4M Mercator, (Bureau Number : 124362), was shot down off the coast of China. Of the 16 crew members on board, 12 remain unaccounted for. September 10, 1956, a U.S. Air Force RB-50 Superfortress, (Serial Number : 47-133), based at Yokota Air Base, Japan, with a crew of 16, was lost in Typhoon Emma over the Sea of Japan. The entire crew remains unaccounted for. July 1, 1960, a U.S. Air Force RB-47 Stratojet, (Serial Number : 53-4281), stationed at RAF Brize Norton, England, was shot down over the Barents Sea. Of the six crew members on board, three remain unaccounted for. December 14, 1965, a U.S. Air Force RB-57 Canberra, (Serial Number : 63-13287), was lost over the Black Sea, flying out of Incirlik Air Base, Turkey. The entire crew of two remains unaccounted for. April 15, 1969, a U.S. Navy EC-121 Warning Star, (Bureau Number : 135749), was shot down by North Korean fighters. Of the 31 men on board, 29 remain unaccounted for. (see 1969 EC-121 shootdown incident). The 1991–1993 United States Senate Select Committee on POW/MIA Affairs investigated some outstanding issues and reports related to the fate of U.S. service personnel still missing from the Cold War. In 1992, Russian President Boris Yeltsin told the committee that the Soviet Union had held survivors of spy planes shot down in the early 1950s in prisons or psychiatric facilities. Russian Colonel General Dmitri Volkogonov, co-leader of the U.S.–Russia Joint Commission on POW/MIAs, said that to his knowledge no Americans were currently being held against their will within the borders of the former Soviet Union. The Select Committee concluded that it "found evidence that some U.S. POWs were held in the former Soviet Union after WW II, the Korean War and Cold War incidents," and that it "cannot, based on its investigation to date, rule out the possibility that one or more U.S. POWs from past wars or incidents are still being held somewhere within the borders of the former Soviet Union." 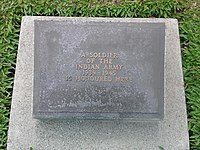 In the Indo-Pakistan War of 1971, two companies of the Indian Army's 15th Punjab (formerly First Patiala) were attacked by four brigades of the Pakistan Army on 3 December 1971 at 1835 hours. Nearly 4,000 Pakistani men attacked the Indian side with 15 tanks and heavy artillery support. The Indian commanders included Major Waraich, Major Singh's and Major Kanwaljit Sandhu, who was badly injured. Major SPS Waraich was reported captured, as were many JCOs and men as the squadrons were taken by surprise and had little time to get to their bunkers. A Pakistani radio news telecast reported (in Urdu) that Maj Waraich hamari hiraasat mein hain (Maj Waraich is in our custody). There was a subsequent report that Maj Waraich was in a North West Frontier jail. Their current status is unknown. They are listed as missing by the Indian Government along with 52 others including a Maj Ashok Suri who wrote a letter to his father in 1975 from Karachi stating that he was alive and well. Pakistan denies holding any of the soldiers Missing in Action. The Iran–Iraq War of 1980–1988 left tens of thousands of Iranian and Iraqi combatants and prisoners of war still unaccounted for. Some counts include civilians who disappeared during the conflict. One estimate is that more than 52,000 Iraqis went missing in the war. Officially, the government of Iran lists 8,000 as missing. Following up on these cases is often difficult because no accurate or surviving documentation exists. The situation in Iraq is additionally difficult because unknown hundreds of thousands persons are missing due to Iraq's later conflicts, both internal and external, and in Iran due to its being a largely closed society. In addition, relations between the countries remained quite poor for a long time; the last POWs from the war were not exchanged until 2003 and relations did not begin to improve until after the regime change brought on by the 2003 onset of the Iraq War. Some cases are brought forward when mass graves are discovered in Iraq, holding the bodies of Iranians once held prisoner. Websites have been started to attempt to track the fates of members of the Islamic Republic of Iran Air Force shot down and captured over Iraq. The International Committee of the Red Cross (ICRC) has been active in trying to resolve MIA issues from the war; in October 2008, twenty years after the end of the war, the ICRC forged a memorandum of understanding with the two countries to share information collected in pursuit of resolving cases. Families are still desperate for knowledge about the fate of their loved ones. In Iran, efforts at answering families' questions and identifying remains are led by the POWs and Missing Commission of the Islamic Republic of Iran Army, the Red Crescent Society of the Islamic Republic of Iran, and the Foundation of Martyrs and Veterans Affairs. In Iraq, efforts are led by the Ministry of Human Rights. According to the Defense Prisoner of War/Missing Personnel Office, 47 Americans were listed as POW/MIAs at some point during Operation Desert Storm. At the conclusion of the Gulf War of 1991, U.S. forces resolved all but one of those cases : 21 Prisoners of War were repatriated, 23 bodies were recovered and 2 bodies were lost over the Gulf and therefore classified as Killed-In-Action, Body Not Recovered. That one MIA case, that of U.S. Lt. Cmdr. Michael Scott Speicher, became quite well known. He was reported as missing after his F/A-18 was shot down in northern Iraq on the first night of the war. Over the years his status was changed from missing to killed in action to missing-captured, a move that suggested he was alive and imprisoned in Iraq. In 2002, his possible situation became a more high-profile issue in the build-up to the Iraq War; The Washington Times ran five successive front-page articles about it in March 2002 and in September 2002, U.S. President George W. Bush mentioned Speicher in a speech to the United Nations General Assembly as part of his case for war. However, despite the 2003 invasion of Iraq and U.S. military control of the country, Speicher was not found and his status remained under debate. It was eventually resolved in August 2009 when his remains were found in the Iraq desert where, according to local civilians, he was buried following his crash in 1991. How many Iraqi forces went missing as a result of the war is not readily known, as estimates of Iraqi casualties overall range considerably. Lt. Cmdr. Barry T. Cooke, U.S. Navy, was lost on February 2, 1991, when his A-6 aircraft went down in the Persian Gulf. Lt. Robert J. Dwyer, U.S. Navy, was lost on February 5, 1991, when his FA-18 aircraft went down in the Persian Gulf. Military animals can also be officially declared Missing In Action. MIA is sometimes used in American English to describe difficulty finding something, particularly a person. "The employee is MIA." It is less often used in this context in UK English, where the equivalent phrase is "gone AWOL". ^ "Jungle battlefield 'lost' for 68 years discovered". Toronto: thestar.com. June 8, 2010. Retrieved October 11, 2012. ^ Justin R. Taylan. "Pvt Martin Odenthal – Dog Tag & Grave Discovery on Guadalcanal". Pacific Wrecks. Retrieved October 11, 2012. ^ "U.S. Navy Confirms Lost WWII Sub Found Off Aleutians". Fox News. October 3, 2008. Archived from the original on October 21, 2012. Retrieved October 11, 2012. ^ Landale, James (October 23, 2009). "UK | Sub's wartime grave discovered". BBC News. Retrieved October 11, 2012. ^ NetherlandsInfomation (November 1, 2011). "Missing Submarine K XVI Found After 70 Years | Navy & Maritime Security News at DefenceTalk". Defencetalk.com. Retrieved October 11, 2012. ^ "Remains of WWII airman come home after 68 years". Warhistoryonline.com. Archived from the original on November 16, 2012. Retrieved October 11, 2012. ^ Waterfield, Bruno (September 18, 2012). 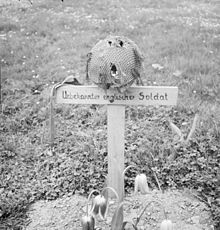 "British paratrooper's body found in Holland 68 years after battle of Arnhem". London: Telegraph. Retrieved October 11, 2012. ^ Reading Room Manchester. "Two Unmarked Graves in Popielow Cemetery Poland Discovered To Be Those Of Two British Servicemen". CWGC. Archived from the original on October 15, 2012. Retrieved October 11, 2012. ^ "cwgc.co.uk". cwgc.co.uk. January 1, 2011. Retrieved November 14, 2011. 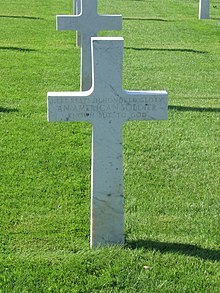 ^ "Arnhem soldier buried 60 years on". BBC News. March 23, 2005. Retrieved May 12, 2010. ^ "Family of dead WWII airman found". BBC News. May 9, 2006. Retrieved May 12, 2010. ^ "Funeral for RAF crew, 61 years on". BBC News. September 1, 2005. Retrieved May 12, 2010. ^ Sturdy, Julian (November 24, 2008). "Mystery of soldier's grave solved". BBC News. Retrieved May 12, 2010. ^ "British War hero finally gets hero's funeral". BBC News. September 18, 1998. Retrieved May 12, 2010. ^ "German WWII pilot laid to rest on Teesside". BBC News. October 14, 1998. Retrieved May 12, 2010. ^ Armin Schmidt (April 8, 2010). "brad.ac.uk". brad.ac.uk. Archived from the original on September 7, 2007. Retrieved November 14, 2011. ^ "Rare remains of soldier found at Waterloo". Reuters. June 15, 2012. ^ Traynor, Ian (September 3, 2002). "After 190 years the bones of Boney's army are unearthed in a mass grave in Lithuania". The Guardian. London. Retrieved May 12, 2010. ^ "Hand-made tag offers clue to identity of First World War soldier". The Scotsman. Edinburgh, UK. October 15, 2001. ^ "aftermathww1.com". aftermathww1.com. Retrieved November 14, 2011. ^ "fylde.demon.co.uk". fylde.demon.co.uk. Retrieved November 14, 2011. ^ "hellfire-corner.demon.co.uk". hellfire-corner.demon.co.uk. Archived from the original on September 27, 2011. Retrieved November 14, 2011. ^ "hellfire-corner". Hellfire-corner.demon.co.uk. Archived from the original on September 27, 2011. Retrieved November 14, 2011. ^ "daylife.com". daylife.com. August 23, 2012. Archived from the original on March 18, 2012. Retrieved October 11, 2012. ^ "Fromelles grave excavation ends". BBC News. September 10, 2009. Retrieved May 12, 2010. ^ "defence.gov.au". defence.gov.au. Archived from the original on January 18, 2012. Retrieved November 14, 2011. ^ "mod.uk". mod.uk. Archived from the original on June 7, 2011. Retrieved November 14, 2011. ^ "Remains found at WWI 'mass grave'". BBC News. June 2, 2008. Retrieved May 12, 2010. ^ "WWI trench troops found almost a century after they were killed". thesun.co.uk. ^ "German soldiers preserved in World War I shelter discovered after nearly 100 years". The Daily Telegraph. London. February 10, 2012. 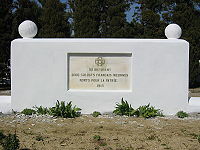 ^ "Lyness Royal Naval Cemetery". lyness-cemetery.blogspot.co.uk. ^ "hs.fi". hs.fi. Archived from the original on June 29, 2011. Retrieved November 14, 2011. ^ "defenselink.mil". defenselink.mil. Retrieved November 14, 2011. ^ "raf.mod.uk". raf.mod.uk. August 17, 2011. Archived from the original on December 10, 2009. Retrieved November 14, 2011. ^ Keys, David (January 7, 2008). "German WWII soldiers get proper burial after 60 years". The Age. Melbourne, Australia. ^ "kokodaspirit.com". kokodaspirit.com. Archived from the original on March 9, 2012. Retrieved November 14, 2011. ^ "mcquat.co.uk". mcquat.co.uk. Archived from the original on March 9, 2012. Retrieved November 14, 2011. ^ a b c d Franklin, H. Bruce (1993). M.I.A., Or, Mythmaking in America. Rutgers University Press. ISBN 0-8135-2001-0. pp. 12–13. ^ a b Gassend Jean-Loup. "Autopsy of a Battle, the Liberation of the French Riviera". Schiffer. ^ "Repatriation and identification of the Finnish World War II soldiers". Croat Med J. 48 (4): 528–35. August 2007. PMC 2080560. PMID 17696308. ^ "uk.youtube.com". uk.youtube.com. Retrieved November 14, 2011. ^ "highbeam.com". highbeam.com. Archived from the original on November 4, 2012. Retrieved November 14, 2011. ^ "Russian Digging". English Russia. July 19, 2008. Retrieved October 11, 2012. ^ Beata Mostafavi. "World War II soldier who went missing almost 65 years ago finally gets burial". Flint Journal. mlive.com. Retrieved November 14, 2011. ^ "uk.youtube.com". uk.youtube.com. April 26, 2008. Retrieved November 14, 2011. ^ "Digging for their lives: Russia's volunteer body hunters". BBC News. January 13, 2014. ^ a b c Elisabeth Bumiller (September 5, 2009). "Teams Seeking Remains Dig Back to World War II". The New York Times. ^ "msnbc.msn.com". msnbc.msn.com. November 26, 2008. Retrieved November 14, 2011. ^ a b c d "DTIC Cold War Unaccounted For List by Last Name" (PDF). Retrieved April 11, 2019. ^ "Department of Defense map of North Korea with estimated loss concentrations." dpaa.mil. Retrieved: December 17, 2015". Retrieved January 14, 2018. ^ a b "Progress on Korean War Personnel Accounting". Retrieved January 14, 2018. ^ "Defense POW/MIA Accounting Agency". dpaa.mil. ^ "Korean War POW/MIA Network". koreanwarpowmia.net. Archived from the original on January 31, 2017. Retrieved December 22, 2016. ^ "U.S. Demands All POWs Be Turned Over". Ellensburg Daily Record. August 8, 1953. p. 1. ^ "War remains sought in Korea's DMZ". BBC News. October 20, 2008. Archived from the original on October 23, 2008. ^ "Asia-Pacific – War remains sought in Korea's DMZ". BBC NEWS – World. October 23, 2008. Archived from the original on October 23, 2008. Retrieved January 14, 2018. ^ a b c d e "Executive Summary". Report of the Select Committee on POW/MIA Affairs. United States Senate. January 13, 1993. Retrieved January 3, 2008. ^ "U.S. Knew in 1953 North Koreans Held American P.O.W.'s". New York Times. September 17, 1996. ^ James Brooke (August 23, 2005). "Red Cross Officials to Discuss P.O.W. 's Still Alive in North Korea". New York Times. ^ a b Helene Hofman. "Search for US troops MIA in North Korea to resume after seven-year break". GlobalPost. ^ "Lost Korean War battalion awaits MIA decision". Navy Times. Archived from the original on January 15, 2015. ^ a b "Agent Orange – VFW New Hampshire". myvfw.org. Archived from the original on October 25, 2014. Retrieved October 17, 2014. ^ "So Romney as CiC Would Abandon the Korean War MIA's". Daily Kos. ^ "Explainer: Remains of U.S. Soldiers Still in North Korea : Discovery News". DNews. ^ "Forgotten War, Forgotten Soldiers Book: American POWs left behind from Korean War". LiveLeak.com. ^ Paul Hosford. "North Korea wants America to take home the bodies of 5,000 soldiers". TheJournal.ie. ^ "AP EXCLUSIVE: US remains in North Korea lost in political limbo". March 25, 2016. Retrieved January 14, 2018. ^ "House Resolution#799". Retrieved January 14, 2018. ^ "House Resolution #799". Retrieved January 14, 2018. ^ "Calling on the United States Government to resume talks with the Democratic People's Republic of Korea regarding the research, investigation, recovery, and identification of missing and unaccounted members of the United States Armed Forces from the Korean War. (2016 – H.Res. 799)". GovTrack.us. Retrieved January 14, 2018. ^ Mark Dodd (August 5, 2010). "Call for search for Korea MIAs". The Australian. Retrieved November 14, 2011. ^ "South Korean cemetery keeps Cold War alive". Reuters. September 10, 2008. Retrieved September 28, 2014. ^ "Vietnam War Accounting History". Defense Prisoner of War/Missing Personnel Office. Retrieved November 22, 2008. ^ Engelberg, Stephen (April 18, 1993). "Old M.I.A. Theory Is Given a New Life". The New York Times. ^ McConnell, Malcolm; Schweitzer III; Theodore G (1995). Inside Hanoi's Secret Archives: Solving the MIA Mystery. Simon & Schuster. ISBN 0-671-87118-8. p. 13. ^ Schanberg, Sydney (September 1994). "Did America Abandon Vietnam War P.O.W.'s?". Penthouse. Archived from the original on March 21, 2007. Retrieved June 1, 2007. ^ Sorley, Lewis (2007). A Better War: The Unexamined Victories and Final Tragedy of America's Last Years in Vietnam. Houghton Mifflin Harcourt. ISBN 0-15-601309-6. p. 458. ^ a b c d Mydans, Seth (April 19, 1999). "Of Soldiers Lost, but Not Forgotten, in Vietnam". The New York Times. ^ a b Johnson, Kay (December 18, 2002). "Vietnamese use psychics to find graves of missing relatives". The Daily Telegraph. London. ^ "Vietnamese and US veterans cooperate in seeking MIA". Government of Vietnam. April 21, 2002. ^ a b Phua, Joe (May 17, 2006). "Communicating with Vietnam's war dead". BBC News. ^ Pham, Nga (January 14, 2009). "Fighters found in Vietnam grave". BBC News. ^ "Cold War Missing In Action Aviator Identified (Snoddy)". Retrieved January 14, 2018. ^ "Helms aides react to reports of POWs in former Soviet Union". Times-News. Associated Press. June 20, 1992. p. 8A. ^ Barbara Crossette (June 16, 1992). "Gulag Held M.I.A. 's, Yeltsin Suggests". The New York Times. ^ a b c d e "Twenty years after the end of the Iran-Iraq war, tens of thousands of combatants still unaccounted for". International Committee of the Red Cross. October 16, 2008. ^ a b c d e f "Red Cross: Iran and Iraq Agree to Track Those Missing in 1980s Conflict". Fox News. Associated Press. October 16, 2008. ^ a b "Iraq starts looking for soldiers missing in action in Kuwait, Iran". The Siasat Daily. July 2, 2009. Archived from the original on March 26, 2012. ^ Fathi, Nazila (March 14, 2003). "Threats And Responses: Briefly Noted; Iran-Iraq Prisoner Deal". The New York Times. ^ "ejection-history.org.uk". ejection-history.org.uk. Archived from the original on September 28, 2011. Retrieved November 14, 2011. ^ "Desert Storm Captives/Unaccounted-for" (PDF). dtic.mil. Retrieved December 14, 2010. ^ "Two KIA-BNR from Desert Storm". dtic.mil. Retrieved December 14, 2010. ^ a b McIntire, Jamie (April 23, 2003). "Initials may offer clue to missing Gulf War pilot". CNN. ^ Evans, Ben (January 9, 2009). "Panel calls for continuing probe of lost pilot". Associated Press. ^ "Remains Identified as Navy Captain Michael Scott Speicher" (Press release). U.S. Department of Defense. August 2, 2009. ^ "Remains found of first American shot down in Gulf War". CNN. August 2, 2009. ^ "Iraq Theater & Other Conflicts". dpaa.mil. Retrieved December 10, 2016. ^ "Defense POW/MIA Accounting Agency > Our Missing > Iraq & Other Conflicts". www.dpaa.mil. Retrieved April 11, 2019. ^ "DTIC Cold War Unaccounted For List by Last Name" (PDF). Retrieved September 27, 2018. Wikimedia Commons has media related to Missing in action. Look up missing in action in Wiktionary, the free dictionary.